HarperCollinsPublishers have decided to re-issue four classic tales of adventure at sea from Alistair Maclean, the master of action and suspense, and make them available for the first time in an e-bundle. 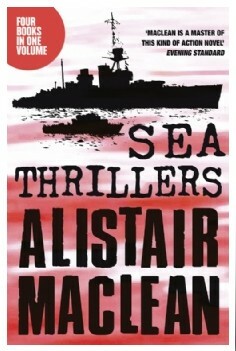 Discover why Alistair MacLean was the most popular thriller writer of his generation in these four classic stories of the sea, from the treacherous frozen seas of the north Atlantic, to the warmer but no less deadly waters of the Caribbean and Mediterranean. This publication features San Andreas, The Golden Rendezvous, Sea Witch and Santorini. The publication date is expected to be August 15, 2013.